Kia Extended Warranty Coverage or Vehicle Protection Plan- autopom! Is your manufacturer’s original warranty expiring? Consider purchasing a Kia Extended Warranty coverage or a vehicle protection plan from autopom! Kia may not offer “America’s Best Warranty.” But they sure come close. Kia’s famous 10-year/100,000-mile warranty has received some good press over the years. This unusually long warranty, along with Kia’s well-made, fuel-efficient and budget-friendly vehicles, has helped win over both consumers and the auto industry. In addition to all this, Kias offer an extensive list of standard equipment and many available luxury-minded options. 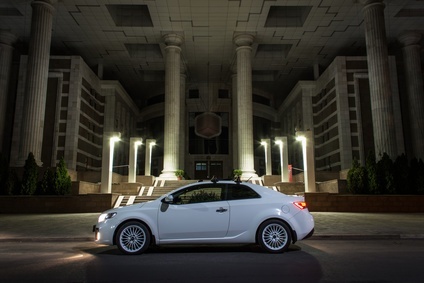 No wonder Kia has continued to have strong sales, even through an economic downturn. That sounds pretty nice considering most vehicle manufacturers’ warranties only include 3-years/36,000 miles. But as mentioned above, Kia’s great warranty is only one of the reasons Kia has seen success in recent years. Kia has also been producing some great vehicles that suit a variety of people’s needs and budgets – like the funky and budget-friendly Kia Soul, the family-friendly and affordable Kia Sorrento (a crossover SUV with up to three rows), and the sophisticated large luxury sedan known as the Kia Cadenza for those who want something more refined. If you already own or are considering buying a Kia, all these glowing facts about Kia may make you wonder if you really need a Kia extended warranty or a vehicle protection plan from autopom! Only you can answer that question, butthe following are three of the reasons you should strongly consider one for your Kia. The Kia 10-year/100,000-mile warranty program* consists of various limited warranties, including limited basic, limited powertrain, and limited anti-perforation warranties, plus a roadside assistance and trip interruption program. Did you notice how every single part of the warranty is “limited?” You can download the full details on the warranty, along with its limitations, from the Kia website. In addition, Kia’s original manufacturer’s warranty is only transferable in a limited fashion. After the first owner, only the 5-year/60,000 mile powertrain coverage is available. That means that if you are buying/bought a used Kia, you only have limited warranty coverage up to 5 years or 60,000 miles. Second, after 5 years or 60,000 miles, the remaining coverage on Kia’s original warranty is sparse, so lots of repairs may not be covered. A Kia Extended Warranty or a vehicle protection plan from autopom! however, can almost certainly give you more coverage, along with many other great benefits. Finally, although Kia has come a long way in improving their overall reliability, there are still some concerns about it. For example, the 2015 J.D. Power U.S. Vehicle Dependability Study (which examines problems experienced during the past 12 months by original owners of three-year-old vehicles), shows that Kia vehicles experienced 158 problems per 100 vehicles! That is 11 more problems per 100 vehicles than the industry average, putting Kia in the bottom third of all vehicle manufacturers in the U.S. And then you have all of the engine problems that both the 2013 and 2014 Kia Sorrento have had; so many that there was a recall and there is now a class action lawsuit against Kia because of the problems. Considering these concerns, you should most certainly consider how a Kia Extended Warranty or a vehicle protection plan from autopom! could benefit you and your Kia. Contact autopom! below for a free quote today!